Email messages between two FBI officials suggest widespread use of unsecure communications by the bureau, according to records obtained in a Freedom of Information Act lawsuit. Judicial Watch, a Washington-based nonpartisan government watchdog organization, announced Thursday that it received 47 pages of records from the Justice Department that show FBI officials used “unsecure devices” while discussing a matter involving the European Union. The records include emails between Peter Strzok and Lisa Page, two FBI officials who were close to investigations of Hillary Clinton and Donald Trump. Neither remains with the bureau. All records of communications, including but not limited to, emails, text messages and instant chats, between FBI official Peter Strzok and FBI attorney Lisa Page; all travel requests, travel authorizations, travel vouchers and expense reports of Peter Strzok; and all travel requests, travel authorizations, travel vouchers and expense reports of Lisa Page. Both former FBI officials made disparaging remarks about Trump in text exchanges when he was the Republican candidate for president, facing Democratic nominee Clinton in the election Nov. 8, 2016. 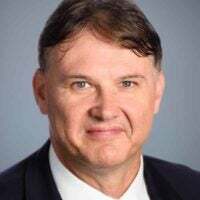 U.S. District Judge Reggie Walton ordered the FBI to process 13,000 pages of records, including emails, text messages, and travel documents, involving Page and Strzok. But because the FBI has not been cooperative, the agency “will not complete review and production of all the Strzok-Page materials until at least 2020,” according to a Judicial Watch press release Thursday. The emails Judicial Watch obtained show FBI officials used the unsecure devices while exchanging emails or other electronic texts about how they might share “sensitive data” with the European Union. The new revelations from Judicial Watch about the FBI coincide with a report from Fox News on a new batch of text messages between Page and Strzok when they were FBI officials. In a text to Strzok on Jan. 19, 2017, the day before Trump was sworn in as president, Page reveals that she served as a White House intern when Bill Clinton, Hillary Clinton’s husband, was president. It is not clear from the text who Page worked for, or what her internship duties were at the White House. The newly released Strzok-Page texts also provide insight into what a Fox News report describes as a “potential leak operation” within the FBI, and perhaps other intelligence agencies. The effort to leak information to reporters apparently was organized in anticipation that federal officials would investigate Russian interference in the 2016 election and possible involvement by Trump campaign officials. Trump tweeted Thursday that the text messages between the two FBI officials are a “disaster and an embarrassment to the FBI & DOJ,” referring to the Justice Department. Fox News cited a “lengthy exchange” of texts dated Dec. 15, 2016, in which Strzok comments on the leak operation. Although it’s not clear what Strzok meant by “sisters,” another former FBI agent quoted by Fox News said Strzok could have been referring to another intelligence agency such as the CIA. Attorney General Jeff Sessions, who heads the Justice Department, has said that Page, who was a lawyer for the FBI, and Strzok, who was chief of the FBI’s counterespionage section when it investigated the Hillary Clinton email scandal, exchanged more than 50,000 text messages. The FBI is part of the Justice Department. 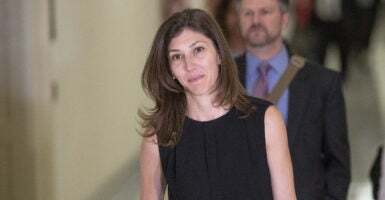 Page and Strzok exchanged the text messages while the two reportedly were having an extramarital affair. Their texts made clear that they were opposed to Trump and supportive of Clinton during the 2016 campaign. Sessions recused himself from overseeing the Russia probe because he was a campaign adviser to Trump. Special counsel Robert Mueller, who is investigating Russian interference as a result, removed Strzok from the probe when the texts surfaced. Page served briefly on Mueller’s team before returning to the FBI’s Office of General Counsel in July 2017. She left the FBI this past May. The FBI fired Strzok in August, after his public testimony before two House committees. Page also testified before lawmakers, but behind closed doors. The Page-Strzok text messages came to light in December 2017, discovered as part of the Justice Department inspector general’s review of the probe of Clinton’s use of a private email server to conduct official business when she was secretary of state from 2009 through 2012.